Modern perfume stores resemble supermarkets: a huge selection of products, a melange of fragrances floating in the air, and many fellow shoppers around. It sounds exciting, doesn’t it? Although the perfume market is interesting to explore, it is still difficult to dwell on one thing – how is it possible to minimize an error when selecting the aroma to be used every day. It is better to go for shopping with a “fresh nose,” meaning that there should be no perfume on you not to overload your sense of smell. It would be a good idea to go for shopping in the morning, when our smell perception is at maximum. The best time to choose perfume is the daytime, when the brain distinguishes smells more easily. Do not be guided solely by marketing legends and brand identity of perfume companies. It is important to make choice based on what you like rather than what is popular. You can test several scents at a time by applying the most liked perfumes to the blotter. If you like one of them mostly, apply it to the wrist. Sometime is necessary for the perfume to open so that you can feel its real aroma. Alcohol should evaporate naturally. Only afterwards you can distinguish the aroma in full. This will not happen in less than 20 minutes. 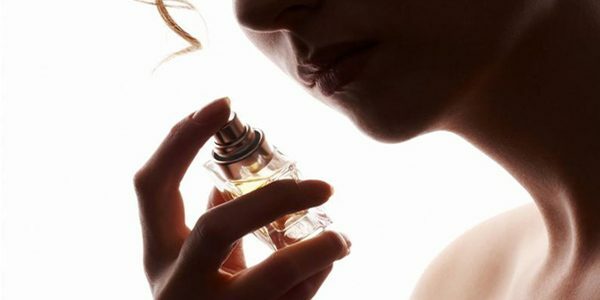 In the perfect world, to understand the behaviour of perfume, the fragrance should be applied to the neck, clothing, or collarbones, and worn during the day. Only in this case, it will be possible to understand what kind of density, toughness, and diffusion it has. Such a test drive allows you to understand what type of scent the perfume refers to and whether it fits you. It happens that the fragrance causes real discomfort and complicates breathing. There is no mysticism about it; such a condition is associated with a physiological reaction of a person. It can be either allergy or spasm of blood vessels that causes the condition. Some people can even lose consciousness due to improperly selected perfume. If its composition is pleasant but has a suffocating effect, you should avoid it. Not all perfumes are built on the principle of an olfactory pyramid and are revealed gradually: some are panoramic, that is, they do not change their scent on the skin over time. You need to bear this in mind when choosing a perfume. It is best to put Prada perfumes on the points where blood vessels are close to the skin: on the wrist, elbows, knees, or shoulders. What is more, fragrances are best kept on well-moisturized skin. This is known to manufacturers, who often produce a range of complementary products for skin care. There is no marketing legend about it: such products help the perfume to open more quickly and have a stronger train. Fresh transparent aromas are best sprayed on clothes: lining of jackets, inner side of blouses, etc. In case of heavy resinous flavors, it is recommended to wear such scents in winter time since they are believed to have a warming effect. When selecting a perfume, pay attention to scents it has. Some of them work in a very specific way. Thus, lavender soothes; coffee stimulates the instincts of shopaholics; vanilla comforts, while cherry makes you more compliant. It is a common opinion that if you can feel the scent only for the first few minutes and then it is impossible to feel and recognize, then this perfume is ideally suited to you. The aroma should bring pleasure; this is the main task for you to achieve when searching for a perfume. Only a few women believe that perfume is not an necessary attribute on a women’s dressing table, and if a perfume is needed, it does not matter what aroma it has. However, the popular majority of women know that perfume is not just an aroma. A properly chosen perfume can become a means of self-expression, seduction, and pleasure. It can make a woman stand out from thousand other females and to draw the attention of men around her.